Freestanding red Navajo Sandstone pinnacle in a dry desert environment. 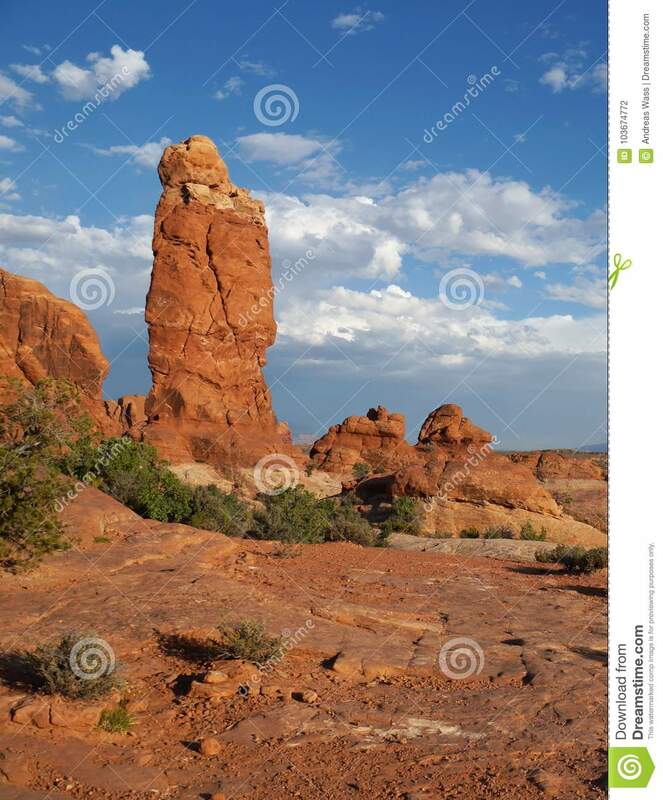 Red Navajo Sandstone formation in a dry desert environment with fluffy cumulus clouds in the blue sky. The freestanding column of red Navajo Sandstone formed by erosion along systematic fracture sets. Waterpocket Fold, Capitol Reef National Park, Utah, USA. July 2014.